The Golden-back Tree-rat is presumed extinct from most of its former range across northern Australia, it now only occurs in the remote northwest near-coastal section of the Kimberley region in Western Australia. 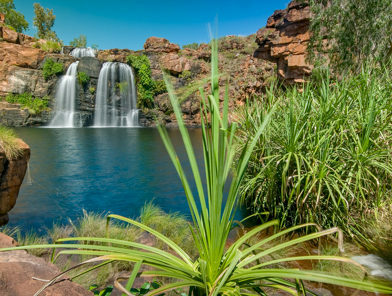 AWC’s Charnley River-Artesian Range Wildlife Sanctuary protects a vitally important population of the Golden-backed Tree-rat where the species is reasonably common across almost 40,000 hectares of rainforest-filled gorges, sandstone escarpment and a mosaic of eucalypt/palm woodlands. 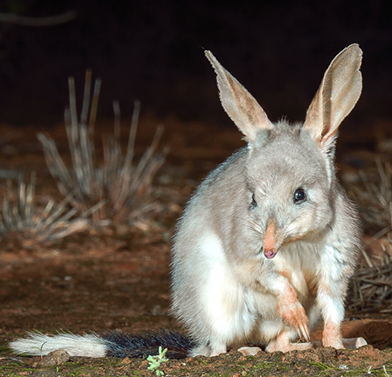 AWC’s field ecologists have conducted the only detailed scientific research ever undertaken on this iconic small mammal, to identify their habitat requirements and investigate actions to help reverse the species’ decline. 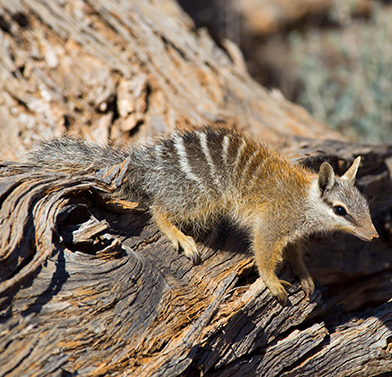 In collaboration with the University of Tasmania, AWC has also investigated the influence of fire on their foraging patterns and habitat requirements. Golden-backed Tree-rats forage extensively on fruits (many of which are fire sensitive) and travel through areas of recently burnt vegetation to get to them, demonstrating the need for mixed age stands of vegetation throughout it’s range. Cat impacts in the Artesian Range appear to be low and AWC’s fire management has successfully prevented extensive wildfires. AWC is also encouraging a stable Dingo population which has the potential to help reduce feral cat activity. The most significant threats to Golden-backed Tree-rats are likely predation by feral cats and altered fire patterns – especially an increase in extensive hot wildfires in the late dry season. Intense wildfires may remove the tree hollows and the dense foliage within which tree-rats nest, and the fires also decrease the availability of fruiting trees and shrubs. Named for the broad stripe of golden fur that runs from the top of the head to the base of its long tail which has a white brush tip, the tree-rat is nocturnal and arboreal. By day it sleeps in nests made in the hollows of trees, among rocks or within dense foliage. It emerges at night to forage on a varied diet of flowers, fruits, insects and grasses. 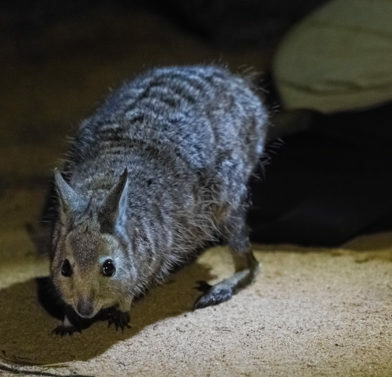 Golden-backed Tree-rats were once so common in Broome that the rodent was considered a pest by residents. A large rodent, Golden-backed Tree-rat’s are typically 18 – 34 cm in body length with a 29 – 36 cm long tail, and weigh 200 – 330 grams, making them highly vulnerable to predation by feral cats. Golden-backed Tree-rats are thought to breed throughout the year and their young are weaned at six or seven weeks age.